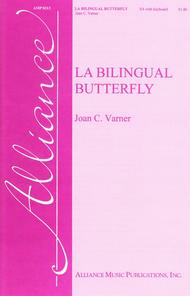 La Bilingual Butterfly composed by Joan Varner. For SA choir, keyboard. Octavo. Published by Alliance Music Publications (AN.AMP-0213).